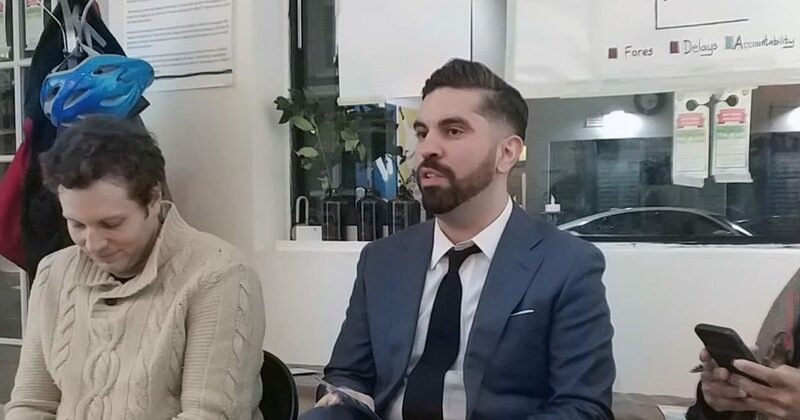 Councilman Rafael Espinal, who has also served in the NYS Assembly, spoke at Solidarity Space. Born and raised in East New York, he now represents North Brooklyn. We’ve hit the highlights below; listen to the full recording for more information. As a New Yorker, Espinal says he’s concerned about the NYC’s trajectory and the impact of rising costs on the average New Yorker. He wants the city and state to come up with comprehensive plans that really help the people who live in NYC, and makes the city livable for all. The recent Awnings Act, which Espinal introduced last year but only passed recently. His feelings on abolishing the Public Advocate’s office. What kinds of legislation he would push for as Public Advocate. How he would balance the desire for green space against the need for low-income and affordable housing, both as it relates to homeowners and apartment-dwellers. Development and affordable housing in East New York. His position on universal rent control; how he defines it and his level of support for the concept, including commercial rent control. His own evolution, from his relationship to the conservative party and Vito Lopez to his more recent endorsements of Bernie Sanders. ICE’s presence in courthouses arresting undocumented immigrants. As second in line to the Mayor, should he be asked to step into the role of Mayor, what does he feel his qualifications are? He talks about his educational background and why he chose to enter public service. What reassurances he can give homeowners, that their property values won’t suffer from having affordable housing increases. Where does he stand on placard abuse, and how would he deal with the problem? What other offices would he be interested in, if he doesn’t get the Public Advocate role? Education policy, his educational experience, and what he sees as the future of improving NYC’s schools. The R Train and what, as Public Advocate, Espinal will do to make sure the trains have improved service. The rising number of hate crimes in New York City. We have already posted audio from Jumaane William’s appearance, with more to come soon! This episode was recorded at Solidarity Space, a community space in Bay Ridge, Brooklyn. Recording is by Rachel Brody. Post-production and editing are by Daniel Hetteix.